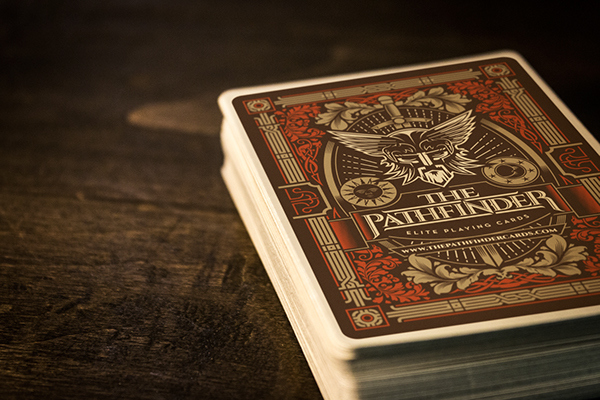 Design of identity for Pathfinder. 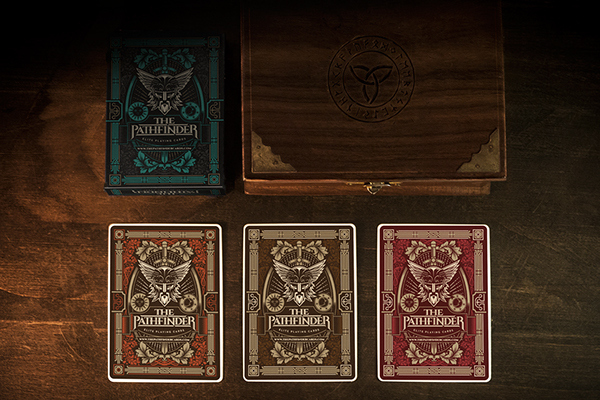 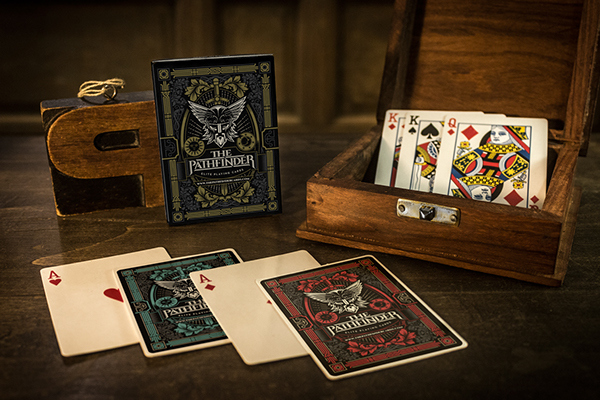 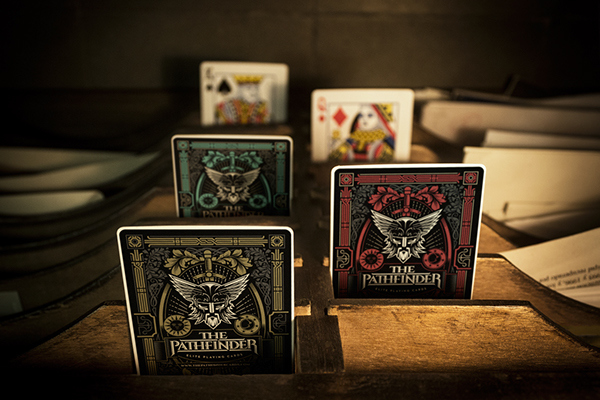 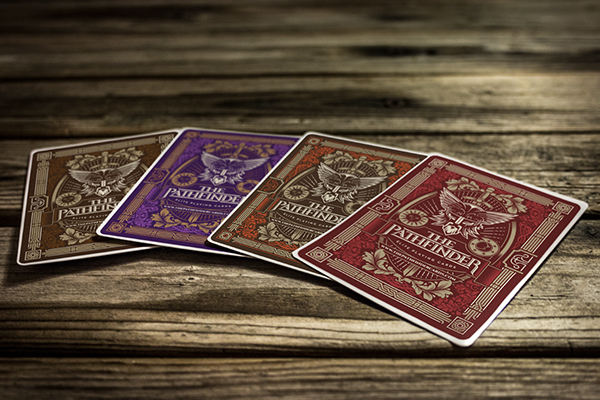 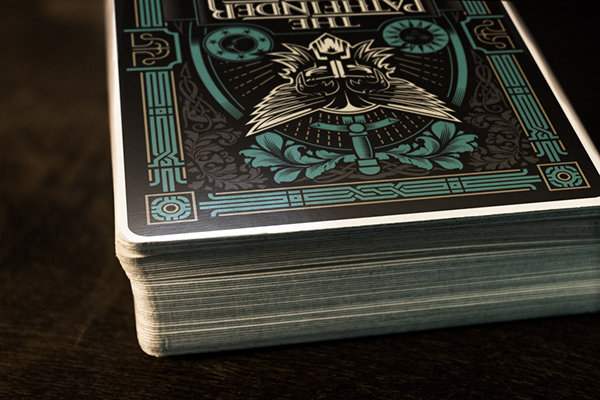 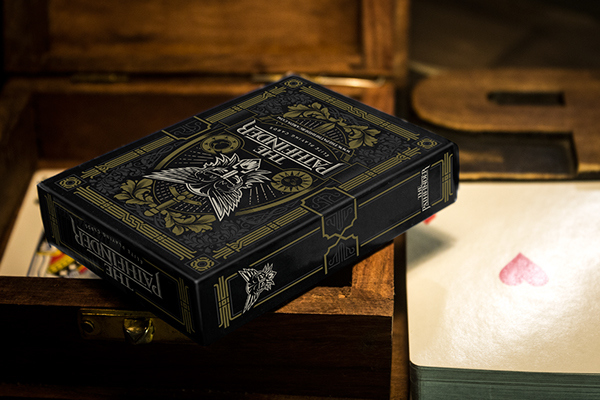 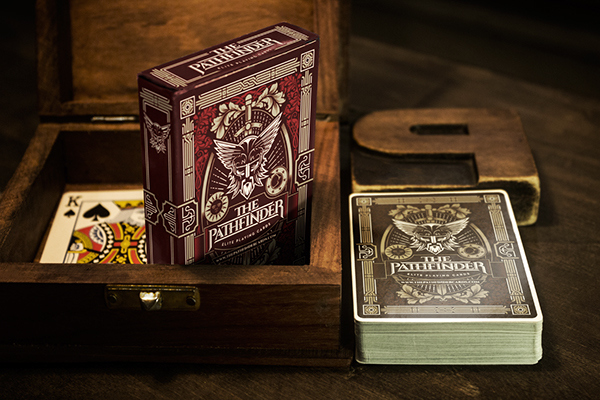 Pathfinder is a playing card manufacturer with a corporate image inspired by Odin, the Norse god of wisdom, war and death: three basic concepts of game-playing. 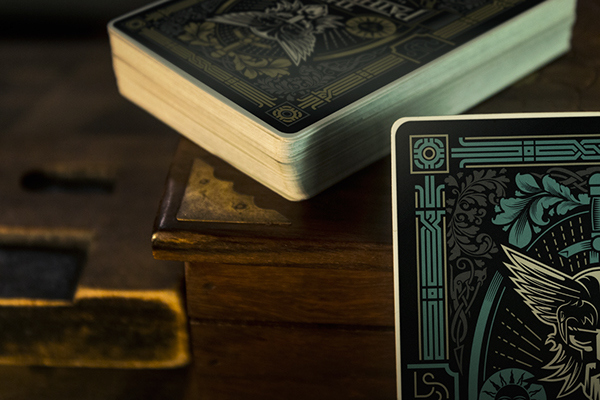 According to Norse mythology, Odin has two ravens named Huginn and Muninn, who he allows to fly off every morning in opposite directions, exploring the world, and return each evening to perch on his shoulders and whisper into his ear all that they have seen.